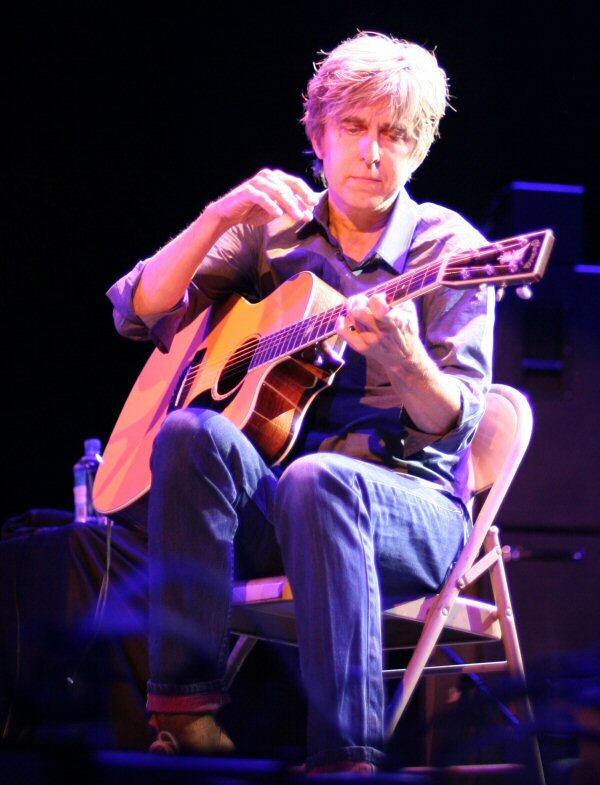 Eric Johnson is an American guitarist, pianist, singer and songwriter with a long list of accolades and awards. In 1986, his solo record Tones earned him a cover on Guitar Player magazine and a Grammy nomination. But it was Ah Via Musicom (1990) that was considered his "breakout" album although Eric had already been playing for years on his own projects and others including session work for Christopher Cross, Carole King and Cat Stevens. A powerful trio on stage in Tarrytown. After Ah Via Musicom Johnson toured and continued to release quality records building a following and respect in the guitar community. Johnson has appeared in both the Experience Hendrix and Joe Satriani's G3 lineups. Eric - who favors Fender Stratocasters and Gibson ES-335s - is also proficient on acoustic, bass, lap steel and resonator. His compositions incorporate a wide range of styles such as blues, classical, country, folk, jazz, soul and rock. 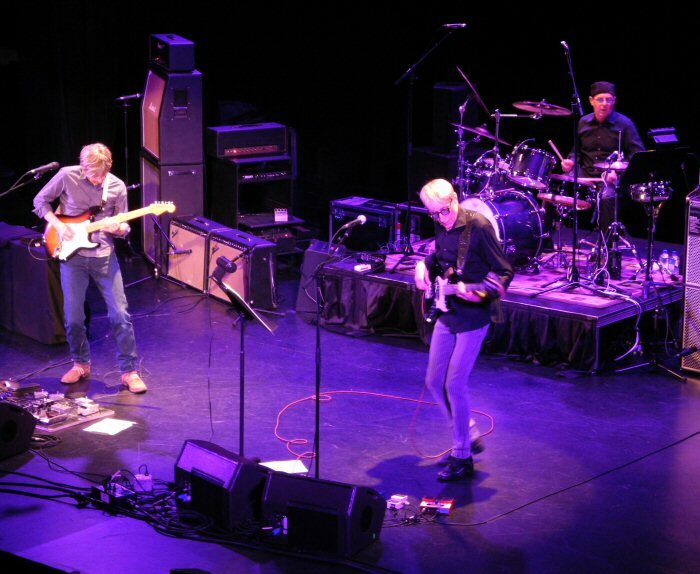 Eric Johnson performed at the Tarrytown Music Hall in Tarrytown, New York on September 20, 2012. Thursday was the first night of the fall leg of the tour with him fronting a power trio including Anton Fig on drums and Will Lee on bass. Both are well respected players with lots of credentials but they are best known as long-time members of the CBS Orchestra as seen nightly on the David Letterman Show. Will is also in the Fab Faux a popular Beatles cover band and Anton recently finished a solo record called Figments. Soon after eight p.m., Eric took a seat on stage and played a number of songs on the acoustic. The pieces were a blend of melody and methods of picking, plunking, strumming and tapping. The songs were multi-layered and included Paul Simon's "April Come She Will". "It's a real honor to play with them," stated Eric as Anton and Will joined Johnson for the rest of the electrified portion of the show. "Fat Daddy" featured a glowing groove that melded into Eric's flowing fret work. Lee was in fine form utilizing a range of techniques such as hitting the bass strings with his thumb for different sounds. Will was animated in both his movements and his playing throughout the set. Eric also had an arsenal of approaches to the guitar touching and tugging textures and tones from his instrument as well as using effects and the whammy bar to enhance his expansive solos. Anton Fig was solid all night adding dynamic drumming to the mixes. Eric Johnson opened the show with three inspired acoustic numbers. Johnson introduced a newer song entitled "Soundtrack Life". The piece ran through a series of lively progressions and soundscapes. "Manhattan " continued building on the foundation of fast fluid fret work and forceful rhythms. Changing direction the band performed a blues rock jam that started with the traditional deep beats of the blues then moved into more of a rocking spacey jam that reminded us of Cream. Eric, Anton and Will were putting the P in power trio on this sequence. The three were looking at each other before returning to earth and the blues beats that they had started with. Their version of John Coltrane's "Mr. P.C" had elements of jazz played in fast paced progressions. Lee stepped up to the edge of the stage to play his solo which was a blend of conventional bass lines with a cool jazz vibe. For his spotlight, Fig went for power and speed. Eric and Will joined Anton as the song circled back and the trio closed the Coltrane composition. "When The Sun Meets The Sky" was warm and showcased more shining and technical work from Eric as it cascaded into additional guitar solos and the dynamic "Cliffs of Dover". The band quickly returned for their encore that featured covers of Jimi Hendrix's "Power of Soul" and "The Wind Cries Mary". The first was feisty and funky and "Mary" ended the evening on a magical note. The Tarrytown Music Hall is in the heart of the downtown, which has an array of cafes and shops to explore. Up-coming artists scheduled to appear at the Tarrytown Music Hall include Dionne Warwick, The Wallflowers, Los Lonely Boys, John Hiatt, Art Garfunkel, David Bromberg, Blackmore's Night and Robert Randolph & The Family Band. 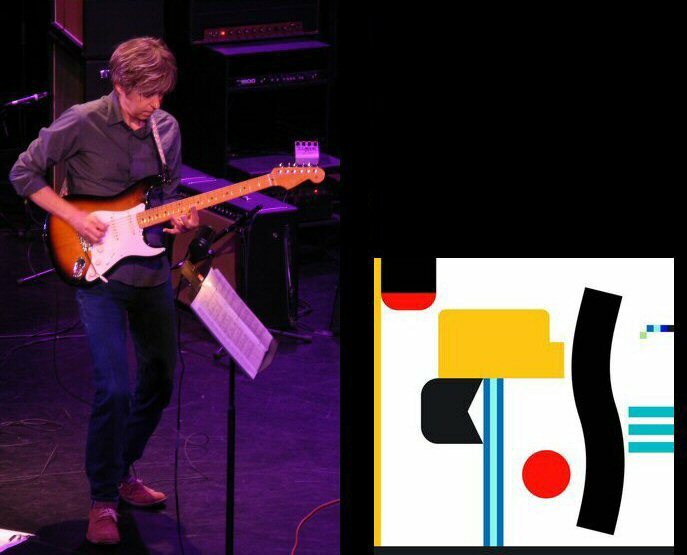 Eric Johnson is on tour in support of his latest album, Up Close.